Welcome to Books For Boys, publisher of the popular "And Then It Happened" book series by M & L Wade. Books For Boys writes quality, high-interest books for students in grades 3 - 6. Since its publication in the fall of 2003, this best selling series has been entertaining students across North America. 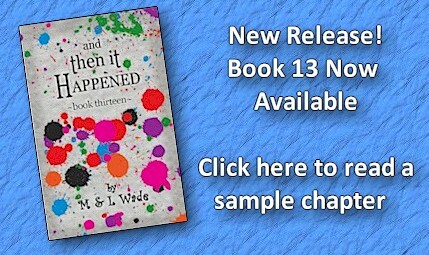 "And Then It Happened" is a laugh-out-loud series that is guaranteed to get kids reading. Authors Michael and Laura Wade live in Strathroy, Ontario, Canada where Laura works as a professional Children's Librarian. Michael travels throughout Canada visiting schools and talking to students. His dynamic, highly entertaining presentation not only motivates students to become better readers and writers, but encourages reading for the fun of it.